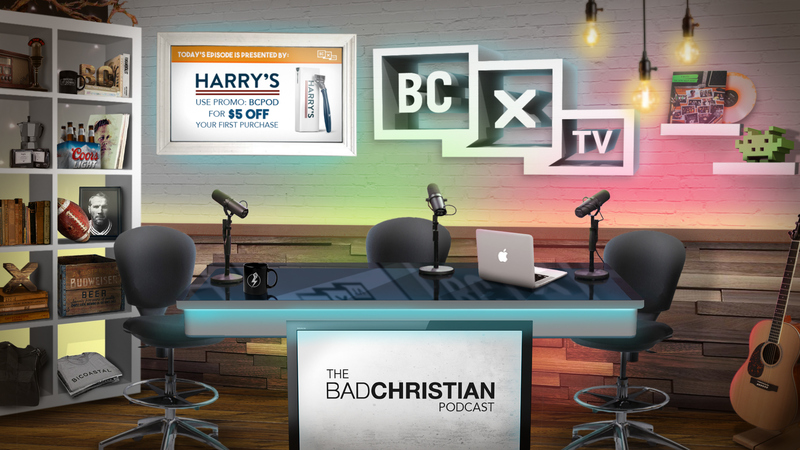 This is some of the design and motion graphics I've been working on for Bad Christian Media. The top video is a logo intro and the one below is a concept video I put together for a revamped look I'm working on with the company. Below the videos is the concept image I put together for their set design.